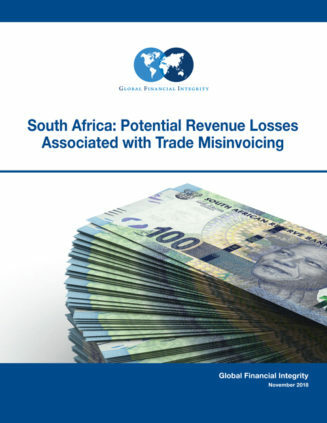 This report, South Africa: Potential Revenue Losses Associated with Trade Misinvoicing, analyzes South Africa’s bilateral trade statistics for 2010–2014 (the most recent years for which sufficient data are available) which are published by the United Nations (Comtrade). The detailed breakdown of bilateral South African trade flows allowed for the computation of trade value gaps that are the basis for trade misinvoicing estimates. Import gaps represent the difference between the value of goods South Africa reports having imported from its partner countries and the corresponding export reports by South Africa’s trade partners. Export gaps represent the difference in value between what South Africa reports as having exported and what its partners report as imported. Analysis of trade misinvoicing in South Africa from 2010—2014 shows that the potential loss of revenue to the government is $7.4 billion annually or, a total of $37 billion during the period. The average portion of revenue lost due to import misinvoicing each year is $4.8 billion. This amount can be further divided into its component parts: uncollected VAT tax ($2.1 billion), customs duties ($596 million), and corporate income tax ($2.1 billion). Lost revenue due to misinvoiced exports was $2.6 billion on average each year which is related to lower than expected corporate income and royalties. (machinery, electrical machinery, and vehicles) are among the most commonly imported goods into South Africa. Trade misinvoicing occurs in four ways: under-invoicing of imports or exports, and over-invoicing of imports or exports. In the case of import under-invoicing fewer VAT taxes and customs duties are collected due to the lower valuation of goods. When import over-invoicing occurs (i.e. when companies pay more than would normally be expected for a product), corporate revenues are lower and therefore less income tax is paid. In export under-invoicing the exporting company collects less revenue than would be anticipated and therefore reports lower income. Thus, it pays less income tax. Corporate royalties are also lower. Total misinvoicing gaps related to imports can be broken down by under-invoicing ($16.3 billion) and over-invoicing ($9.8 billion). It should be noted that these figures represent the estimated value of the gap between what was reported by South Africa and its trading partners. The loss in government revenue is a subset of these amounts and is based on VAT tax rates (12.9 percent), customs duties (3.7 percent), corporate income taxes (21.7 percent), and royalties (1 percent) which are then applied to the value gap. Export misinvoicing gaps were $11.6 billion for export underinvoicing and $8.6 billion for export over-invoicing. Lost corporate income taxes and royalties are then applied to export under-invoicing amounts to calculate lost government revenue. The practice of trade misinvoicing has become normalized in many categories of international trade. It is a major contributor to poverty, inequality, and insecurity in emerging market and developing economies. 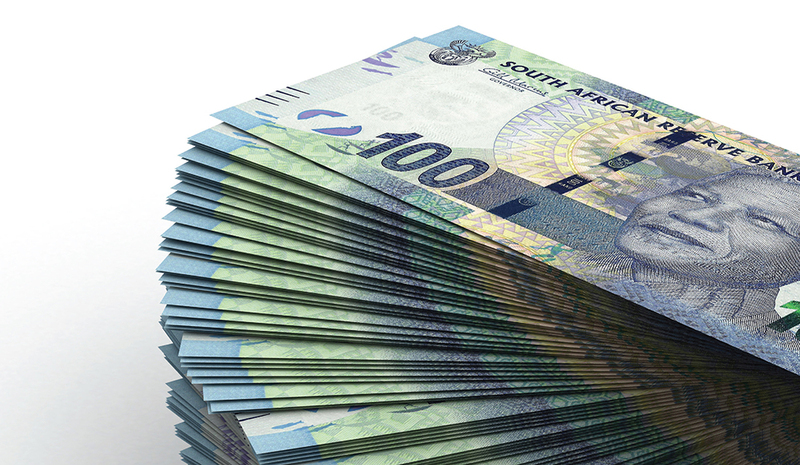 The social cost attendant to trade misinvoicing undermines sustainable growth in living standards and exacerbates inequities and social divisions, issues which are critical in South Africa today.